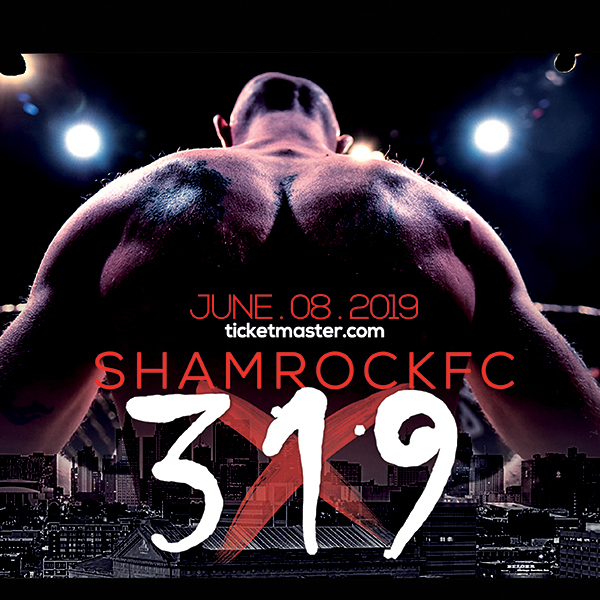 Friday's Shamrock FC 279 caps off the first full year for the scrappy group of young fighters based out of Wentzville, MO. The Wolves Den Training Center - founded by head coach and Brazilian jiu-jitsu black belt Andrew Ebers - launched in the spring last year and is home to local pro fighters Erion Zekthi, Ashley Cummins, Sean Woodson, and several amateur MMA and Muay Thai fighters. It is a group of young, outspoken fighters that are heavy on the confidence with a distinct swagger that accompanies them to the cage. "It's been over a year and a half now," Ebers said. "Raja Singh was our first MMA fighter, the first person to do MMA out of our gym. Ashley was our first pro, and Erion was our second pro." Singh recently won this year's Thai Boxing Association tournament in his weight and skill class and is 2-0 as an ammy in MMA. Cummins would record the biggest win to date for the young gym when she scored a first round submission victory at Bellator in June that many have already declared submission of the year. More on Zekthi later. The third pro fighter to join the ranks at the Den, Sean Woodson, Woodson, recently scored a first round submission over Kevin Brown at RFA 44 in just a minute and a half. "Sean Woodson is probably one of the most talented strikers in the area that I've seen," Eber said. "Definitely in our gym when it comes to big guys. He's had a bad string of injuries this year, but he just fought on RFA." In addition to the pros fighting out of the Den, there are several fighters you might not have heard of unless you've paid very close attention. "We have a lot of guys coming up, a lot of guys with established names," Zekthi said. "We have a lot of good amateurs. JP and Brandon Beatty, this is why my stand-up is getting better, I'm working with these guys, both of those guys are going to make a splash. The sky is the limit for Beatty, once he gets a little thicker he'll be a really scary 135'er. I think Sam Penietiz has all the making of a UFC fighter. He's constantly progressing, he's got one thing I never had, Sam has boxing. He's only 18 and he's got 3 TKOs. I think he's a scary 125'er, especially since he's only 18. Once he fills out he's really going to grow into that weight class. I'm excited for him, more than myself." The gym came together when Ebers' coach Keith Robinson pursued a work opportunity and relocated out of state. "I've been training with JW (Wright) since I was about 15 years old, that's when I started," Ebers said. "About four, four-and-a-half years ago I started helping one of his instructors, Keith Robinson, teach in his gym in O'Fallon. He ended up moving to Alabama for work and let me have all of his stuff. He didn't know what to do with all his stuff so he let me have it. I saw a golden opportunity and we got started right away." Ebers and partners Drew Ingrande and Craig Kelly got together and opened the doors in April of 2015. "We're owned by three different people, myself plus Drew and Craig who own 10-percent each," Ebers said. "We all got in at the ground level. We needed a place to train more than anything else. We wanted to keep what we had going at Keith's gym going. We started up in Wentzville because I knew it had a good growth potential and there were only a few places offering martial arts up there." Continuing the teachings of his instructor Robinson, Ebers' own brand of jiu-jitsu is perfectly suited for MMA training. "Keith has a philosophy of teaching jiu-jitsu under self defense purposes," Eber said. "We incorporate strikes into our training rather than traditional jiu-jitsu teaching for points. When we started Wolves Den we wanted to keep it more self-defense orientated. "Our atmosphere is how we are, we're very laid back, family oriented and easy going. We're a real tight-knit group. When you're here, you're joining a family. We don't have a whole lot of crazy drama, everyone's there to help. I try and preach that every day, everyone is there to help everyone else. That's the big thing that separates us, we don't have a lot of egos." At only 27 years old, Ebers could be the youngest head coach in the area, and much of what he has learned in coaching has been on-the-job training. "I'm still in my 20's and I've had to learn a lot of this on the fly," Ebers said. "Most of the other coaches out there are in the mid 30's early 40's. My biggest cornering blunder was in a fight with Sam Peneitz against Eddie Mayo when I forgot to put his mouthpiece in between rounds. In fairness, he did knock the guy out a couple minutes later and that whole show was a cluster." On Friday, Ebers will temporarily take off the coach's hat when he steps into the Shamrock FC cage to make his professional MMA debut. Ebers will face 1-0 pro Dan Busch, who won his first pro fight in September in a gutsy performance over Derek Clardy at the Family Arena. While it's been five years since his last MMA encounter, an amateur bout with Hugh Pulley, Ebers hasn't exactly been sitting on the shelf. "I've been doing boxing matches these past few years," Ebers said. "I've been doing jiu-jitsu tournaments. I was hyper focused on college, and that kept me out of serious training. It was really hard for me when I started training for a fight, my grades would start slipping. I had to put it on the back burner. Right now it's more of 'why not.' Everyone around me is taking fights. They get me really motivated, Erion especially. I'm helping these guys get better for their fights, and it just came down to I should be fighting too. I'm training all the time for MMA. I re-found my love for it." In his first time around, Ebers trained mainly out of JW's Grappling Concepts gym, which focused almost entirely on jiu-jitsu and had to seek out MMA sparring partners. 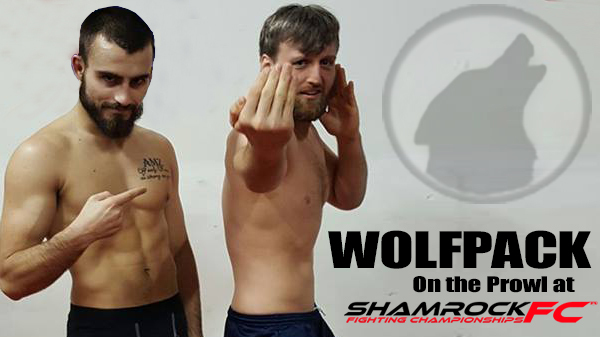 With hungry young pro fighters like Zekthi, Woodson, and Cummins getting in rounds daily at the Den, the stars have aligned for Ebers setting up for his return to the cage. "I have a team that can really push me MMA-wise," Ebers said. "Most of my training partners before were completely jiu-jitsu and I had to go all over the place to train." Standing across from Ebers on Friday night is Busch, a hard-nosed grinder who's spent some time training at Arnold BJJ under Kirk Huff. The bout will be contested at a catch-weight of 160-pounds, a weight class neither fight has competed at previously. "I match-up really well with Dan," Ebers said. "I have a good size advantage on him. I know he's fought at both 45 and 55, and I've always fought at 170. Stylistically I have a good reach on him, I have amateur that boxing experience, and I'm good at using my distance. He's more of a grappler when you look at how's he wins fights, he usually tries to grind out the fight for a submission. I have a good MMA style jiu-jitsu, a style that translates over very well. I think can make this fight a grappling match and win, or making it a striking match and win." "Dan is a grinder, he goes in there and tries to do his thing, and he's been successful so far. Once I get comfortable in there I think I'm gonna do very well. I'm predicting a submission finish." Joining Ebers on the card, in the co-main event slot, is the brash and outspoken Erion Zekthi. Zekthi joined the Wolves Den late last year and has continued his winning ways, making his own professional debut in September against Trevor Ward. Zekthi will face Demetrius Wilson from Modern Combat Systems on Friday and is not shy about his thoughts on his opponent. "I feel 100%," Zekthi said. "I feel like I have too many skills and too many avenues to victory. I feel like I can make mistakes in this fight, but he can't make any mistakes or I will capitalize on them and win." Hoping to improve to 2-0, Zekthi won't have an easy night. Wilson is a 2-time Victory FC vet with wins over Matt Murphy and Ian Lujan to name a few. With a solid ground game, Wilson fights heavy and keeps the pressure on, always looking to put his opponent on their back. He's also someone who will not back down from Zekthi. "Demetrius Wilson is a less explosive, less dangerous, less skillful version of guys I've already beaten," Zekthi said. "I'm not worried at all. Nothing in this fight scares me. I think he's absolutely terrible. His skill set is so limited, I'm surprised he's a 3-1 pro. He looks the same he did two years ago. With me, you've seen consistent improvement, better competition, and I've risen to the occasion." Since joining the Wolves Den in December of 2015, Zekthi believes he's finally found his home and sees big things in his team's future. "There's no ego's here, everyone's willing to work with everyone," Zekthi said. "When you have a fight going on it's all about you. It's a selfish gym meaning when I have a fight it's all about me, and when it's someone else's turn, I'm there for them. The problem I see at other gyms, it's only about certain people, everyone else is secondary. We have a full stable of fighters who I think could make it. Ashley is on the cusp of going back to Invicta. I think Mop can take 155 by storm if he wants to, and of course, I think I'm the greatest thing since sliced bread." After his fight against Busch on Friday, Ebers plans to jump into the corner and coach Zekthi. "Mop wants to be there, and that means a lot to me," Zekthi said. "It'd be easy to just coast after his fight and chill, but he said he wants to be there for me immediately after his fight. "